Home care provides support to help individuals live independently in their own home. Those who require additional support are commonly the elderly, disabled and special needs individuals. What Services does Home Care Provide? Home Care provides trained professionals (CNA or PCA) that can assist with Activities of Daily Living (ADL’S) and Instrumental Activities of Daily Living (IADL’s). The following are some examples of ADL’s and IADL’s. Think of ADL’s as things needed on a daily basis such as personal hygiene, toileting, dressing, feeding, transferring and ambulating. IADL’s can be more complex and include assistance with transportation, shopping and preparing meals. In addition it includes help with managing a household, medication and finances. There are many different facets of home care such as Private Duty Nursing which will be discussed in later blog posts. 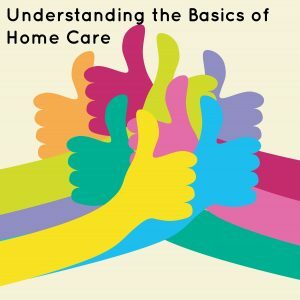 How do I know when Home Care is right for me or a loved one? Anytime safety becomes a concern, it should raise a red flag that home care support may be needed. An individual may only need support with one ADL/IADL but it can make all the difference in quality of life. A major purpose of home care is to keep an individual out of institutionalized living facilities and functioning safely in the comfort of their own home.